To round off the pesto excitement I give you a freakin' cool thing to make with pesto. Gets your kids to eat hidden veggies. Yep. 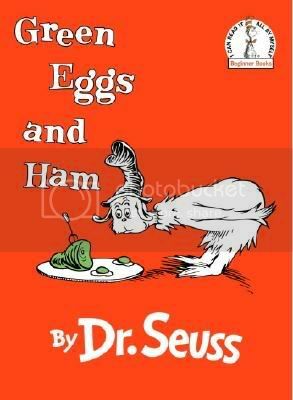 Serve you kids up a helping of Green Eggs and Ham. Add 1 Tbsp. 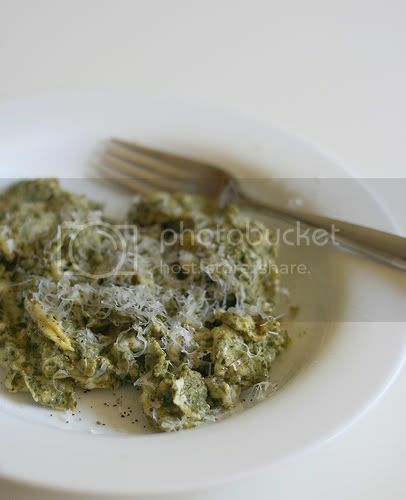 of Spinach Pesto* to 2-3 eggs prior to scrambling. Serve with pan fried slices of ham. I'm going to have to try this my 6 year old is really picky with veggies maybe she'll try this. Emilie could you share more kiddie recipes please? I know I could use a few more in my recipe box.Thanks! Oh, so you want Beef Pot Pie eh?